Commonwealth Day Multi-Faith celebrations kick start Queen’s Baton Relay – Barbados Olympic Association Inc. 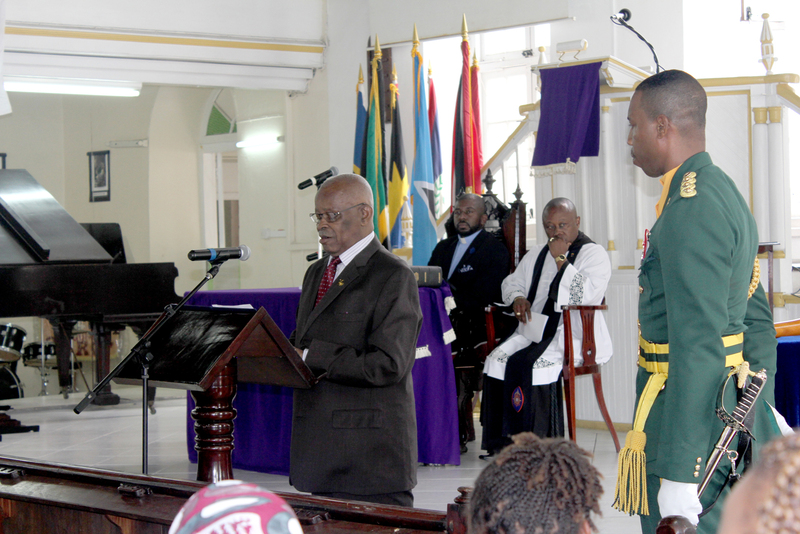 Earlier this month, the Barbados Olympic Association Inc. (BOA) celebrated Commonwealth Day in partnership with the Royal Commonwealth Society (RCS) (Barbados Branch) at its Annual Commonwealth Day Multi-Faith Observance at Calvary Moravian Church, St. Michael. The Observance was conducted by Rev. Dr. Adrian Smith, and featured the reading of Her Majesty Queen Elizabeth II’s Commonwealth Day message by the Governor General of Barbados, His Excellency Sir Elliott Belgrave. Commonwealth Day additionally marked the official launch of the Queen’s Baton Relay which also set off from Buckingham Palace in London on March 13. The Baton is due to arrive in Barbados from St. Lucia on June 10 where it will tour around the island before heading for Dominica on June 14. It will journey throughout the entire Commonwealth before reaching the Gold Coast, Australia, on April 4, 2018 for the Games’ Opening Ceremony. In his Commonwealth Day address, BOA President Steve Stoute emphasised the significance of both Commonwealth Day and the Commonwealth Games as avenues to highlight the use of sport to promote social cohesion. “We are pleased to join with the Royal Commonwealth Society in these celebrations of unity, and we use this occasion to also recognise the official start of the Queen’s Baton Relay. This Queen’s Baton Relay will take Her Majesty the Queen’s message along its longest route in Commonwealth Games history; traveling 230 000kms over 388 days, and bringing together the nations and territories of the Commonwealth. The BOA looks forward to welcoming the Baton to Barbados and wishes a productive Commonwealth Day to all citizens of the Commonwealth,” he said. 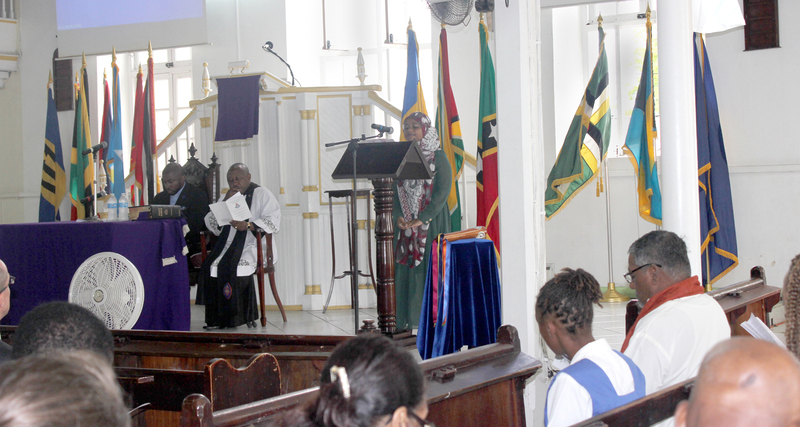 Chair of the RCS Public Relations Committee, Miles Weekes, said the Barbados Branch of the Society was proud to once again have hosted a Multi-Faith Observance of Commonwealth Day in Barbados. “This year’s Commonwealth theme is ‘A Peace Building Commonwealth’ and what better way to embrace this notion than by bringing together our country’s diverse faiths in a show of national solidarity,” he said. This year’s Multi-Faith event in Barbados also incorporated the reading of scriptures and prayers by representatives of the resident High Commissions (Britain, Canada, and New Zealand), representatives of the Barbados National Youth Parliament, the Barbados Youth Development Council, and representatives of the local Jewish, Baha’i, and Muslim faiths. Also in attendance were some of the athletes likely to represent Barbados at the 2018 Commonwealth Games. Commonwealth Day celebrations in London included the biggest multi-faith service in the United Kingdom and the official commencement of the Queen’s Baton Relay. From London, the Queen’s Baton travels through Africa, the Americas, the Caribbean, Europe, Asia and Oceania, giving a third of the world’s population the opportunity to share the Baton experience. The specially-designed Baton carries a message from Her Majesty Queen Elizabeth II which is delivered at the Commonwealth Games Opening Ceremony.